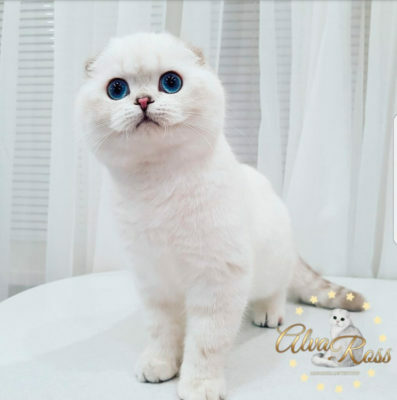 Where to buy a Scottish Fold kitten? 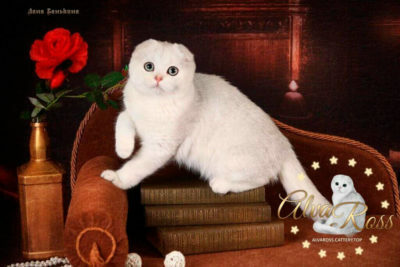 So, who can offer you to buy a Scottish Fold kitten? 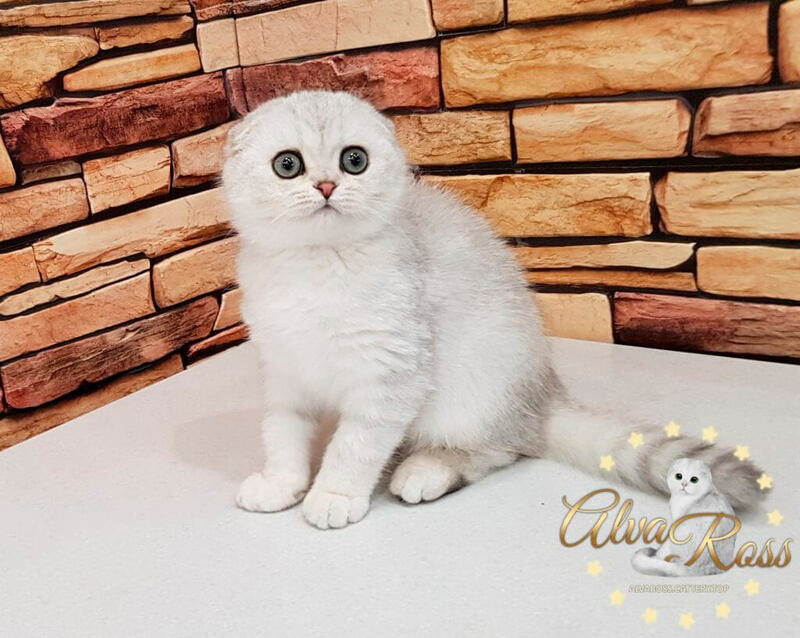 Buy a Scottish Fold kitten in the cattery? 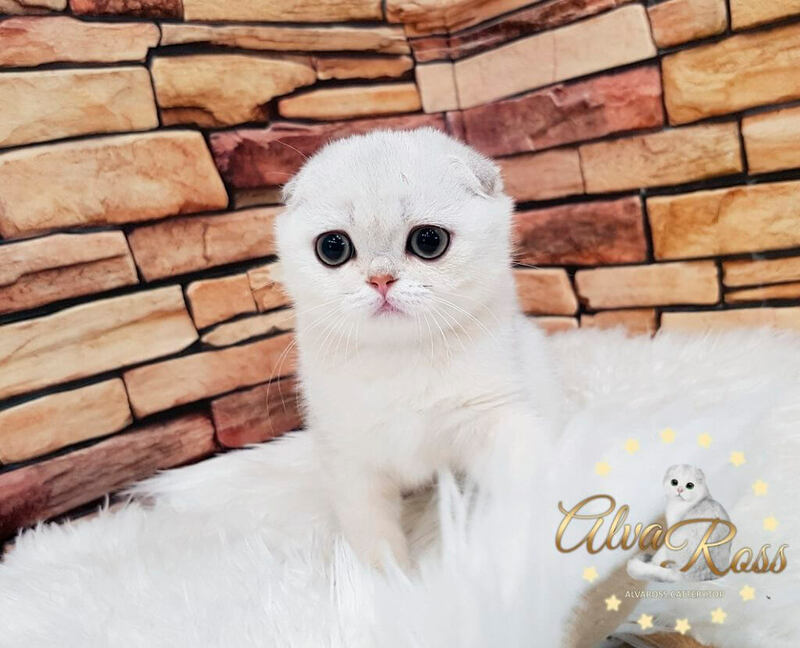 How can I buy a Scottish Fold kitten in AlvaRoss cattery? 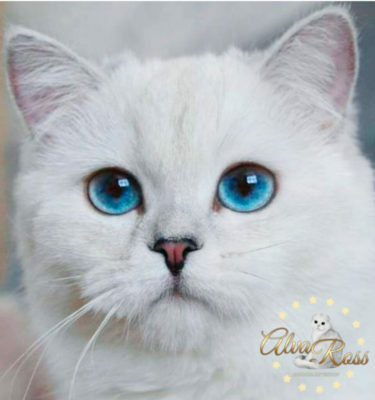 Have you already chosen a cat breed and want to buy a kitten of this breed? 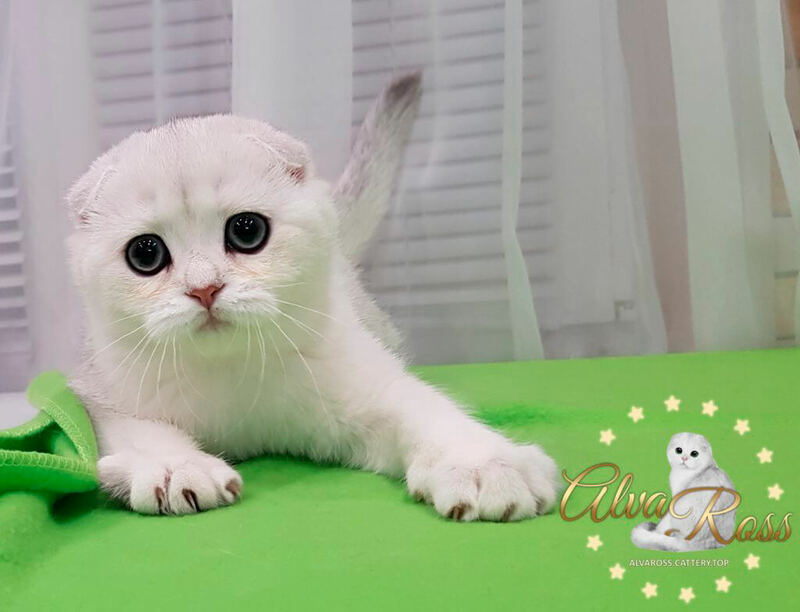 Is your choice Scottish Fold kitten? But are you still asking yourself the question: "Where can I buy a Scottish Fold kitten?"? 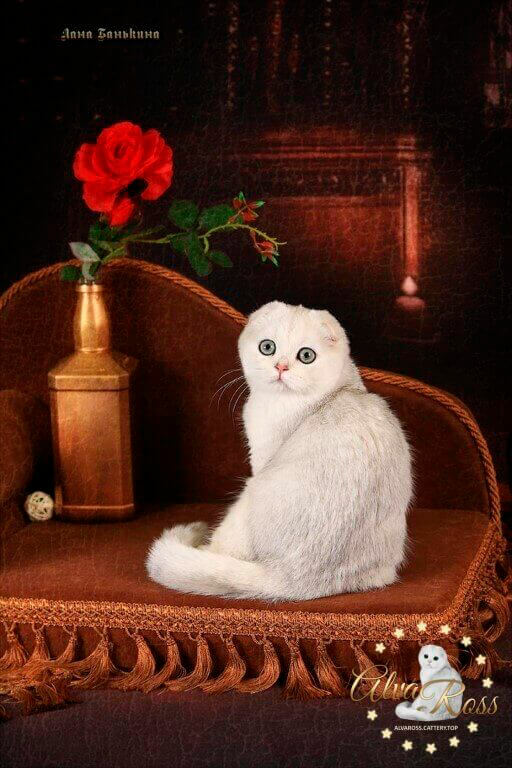 I will start with the fact that the offer on the market for the sale of Scottish Fold kittens is very large. This is due to the fact that so many people do it. All of them do their business differently. For many of them, this is a hobby, not a business! But at the stage of searching for a Scottish Fold kitten, if you are certainly not a professional breeder, this is not very important for you. Many buyers think so. But the reality is different from our assumptions. A little further, in the text of the article, I will give an explanation about this issue. 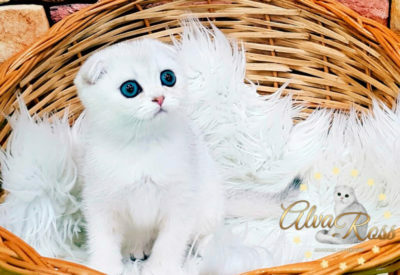 You must understand that there are risks when buying kittens. A lot of information is written about these risks in social networks and forums. Therefore, the purchase of a kitten must be approached responsibly, weighing all the pros and cons and minimizing your risks for the purchase of sick or not very purebred kittens. As you understand, not all sellers are the same and not all sellers offer goods of the same quality. Therefore, first of all, you need to decide on the purpose of purchase! If you need a Scottish Fold kitten just to take care of it and receive love and affection from it in return, it is not very important how much this kitten will meet all breed standards. 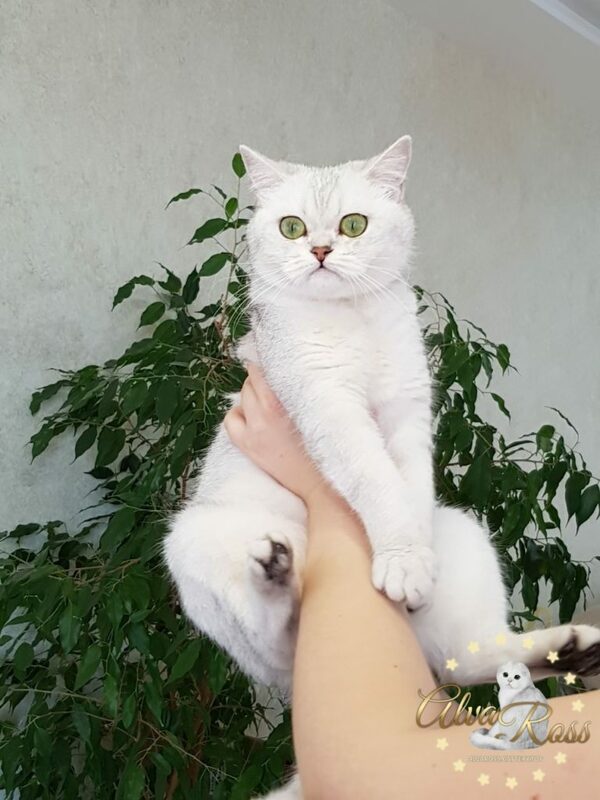 In this case, the main thing is to love this kitten. The main thing is that you like it for some, perhaps, not entirely objective criteria 🙂 In this case, you do not need to choose a kitten that meets all the standards of this breed! 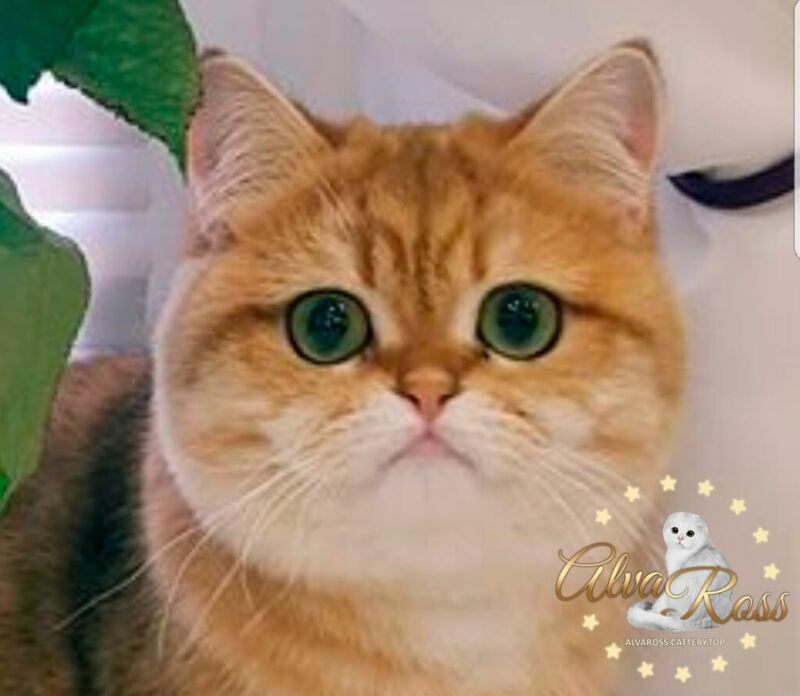 Therefore, it will be enough for you to visit the local zoo market, a local zoo shop in your city or an animal shelter to select and pick up the kitten you liked. 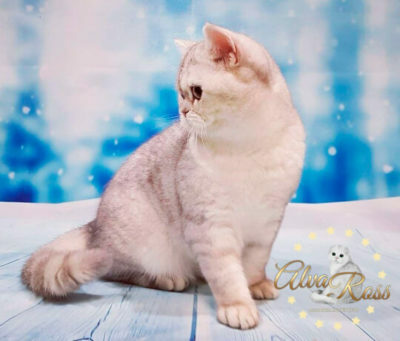 If you have ambitions and are not ready to accept into your family a not very purebred kitten, then, in this case, you will have to choose more carefully and make a purchase from other sellers from the list above. 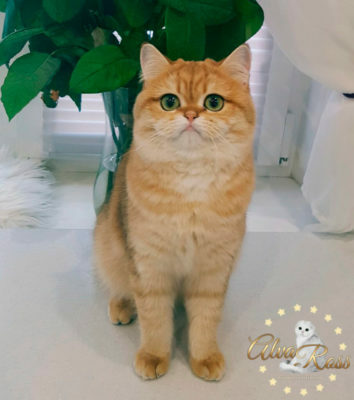 What options of sellers from my point of view are not reliable? In this article I will express my personal point of view. Your point of view may differ. I would not consider the question of buying a Scottish Fold kitten on the resale sites of Scottish Fold kittens and on free classifieds ads. The probability that you will get a kitten the same as on the stated photo is very low from my point of view. Scottish Fold kittens sellers from other countries. 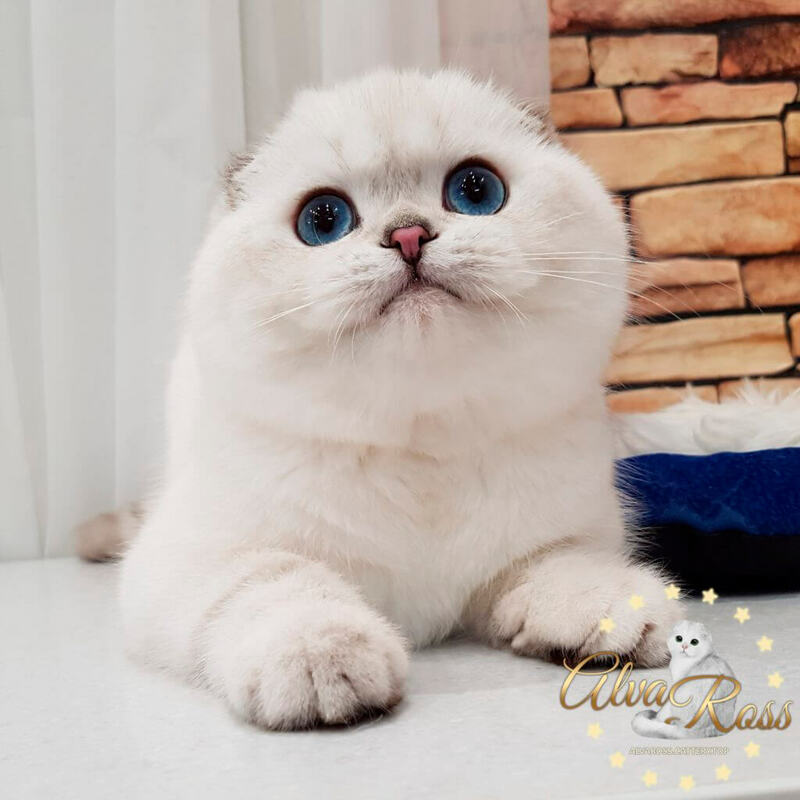 If you decide to buy a Scottish Fold kitten from a local seller, then such a deal will not be very difficult in legal terms. Also, your kitten delivery costs will be minimal. If you decide to buy a kitten from a seller in another country, then you should be prepared for the fact that the delivery of a kitten can cost a lot of money, that the deal will be legally difficult, as it will be necessary to fulfill the requirements of the exporting country and your country that would entail additional expenses for additional veterinary documents, as well as customs costs. Think about the purpose of the purchase! 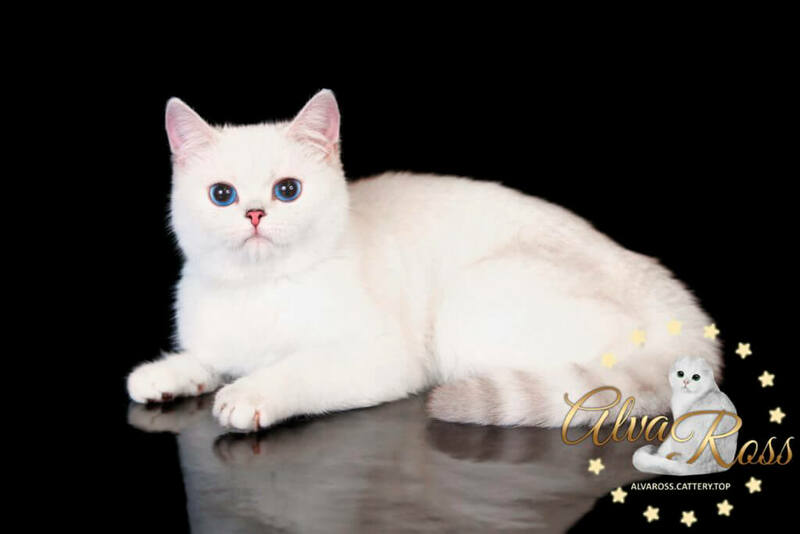 Of course, if the purpose of the purchase is to obtain a high-quality breeding cat from an award-winning cattery, and if at the same time you plan to engage in breeding work in the future, then certainly all your expenses for export-import operations and the purchase of a kitten from such a cattery will pay off in the process of your breeding work. 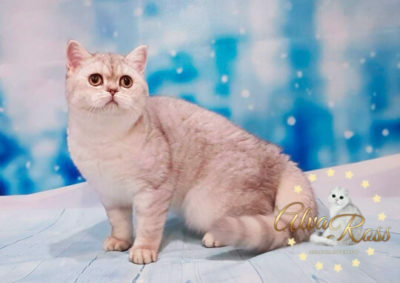 As I wrote above, catteries can be specialized (those that specialize in breeding only one cat breed) or not specialized (in which there are many different cat breeds). 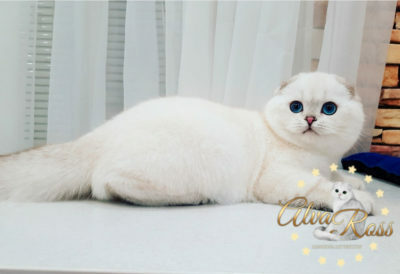 It should also be noted that it does not matter in which (specialized or not specialized) cattery you decide to buy a kitten! 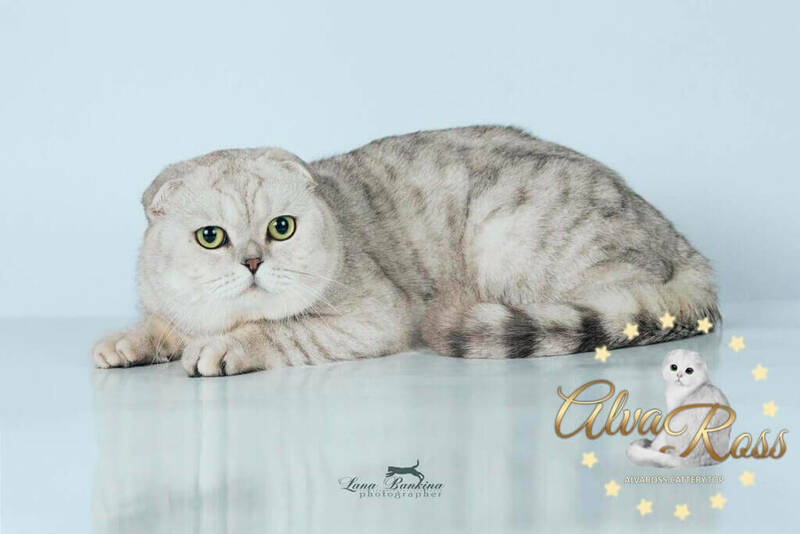 In this case, another criterion is important: whether breeding cats of such a cattery participate in international cat shows. And if so, how high their grades and results are. 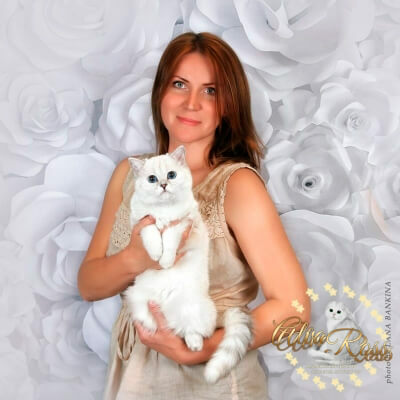 Is your decision to choose a registered cattery as a seller the right one? Yes, your decision is absolutely correct. 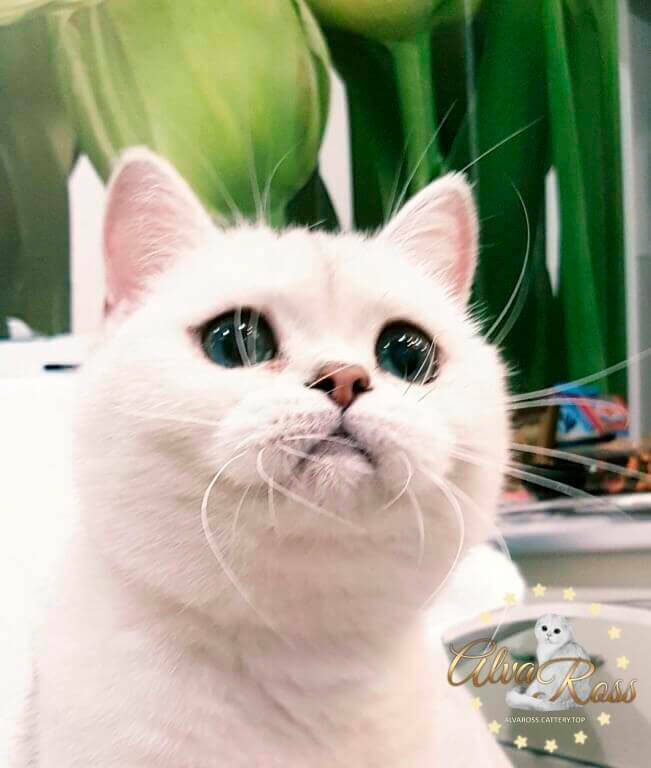 The owners of the cattery have been engaged in felinological work for years and they know a lot about it. If the parents of your future kitten took part in international cat shows and fully comply with all standards of the Scottish breed, then the probability that you buy a quality Scottish Fold kitten in such a cattery is very high, and therefore your risks are minimal. 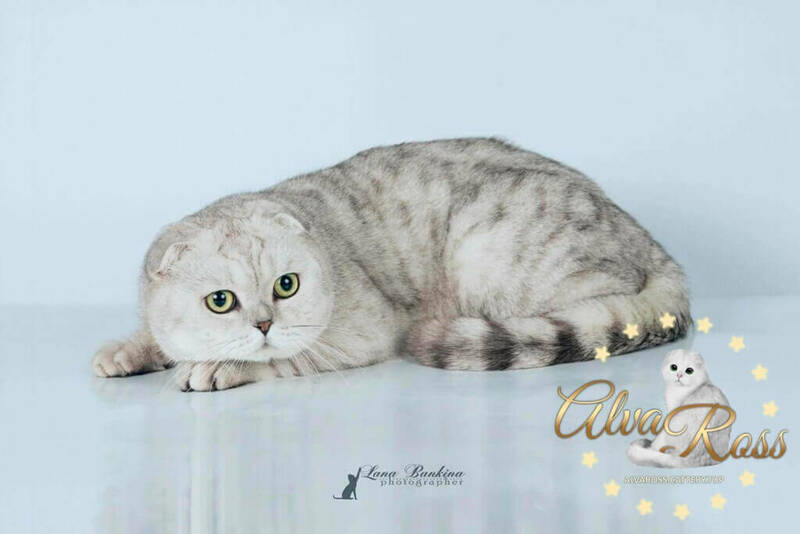 AlvaRoss cattery is a mono-breed. 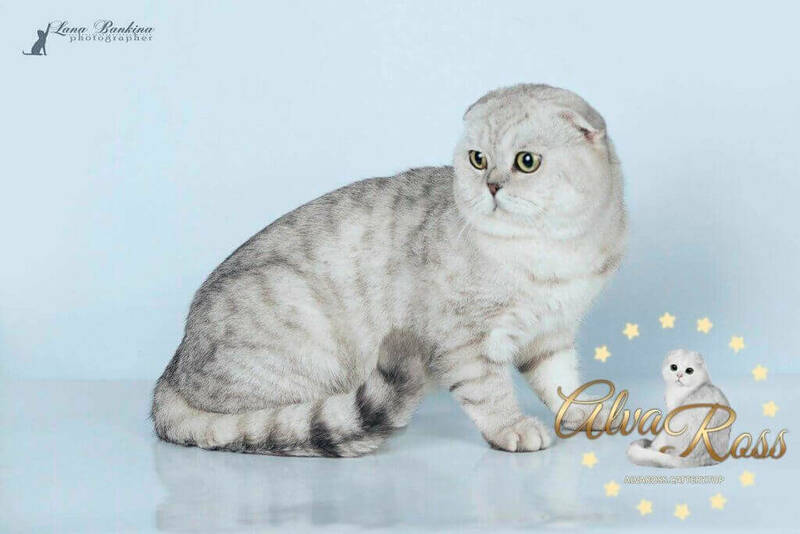 We specialize in breeding Scottish Fold kittens in such rare colors as chinchilla and chinchilla point. 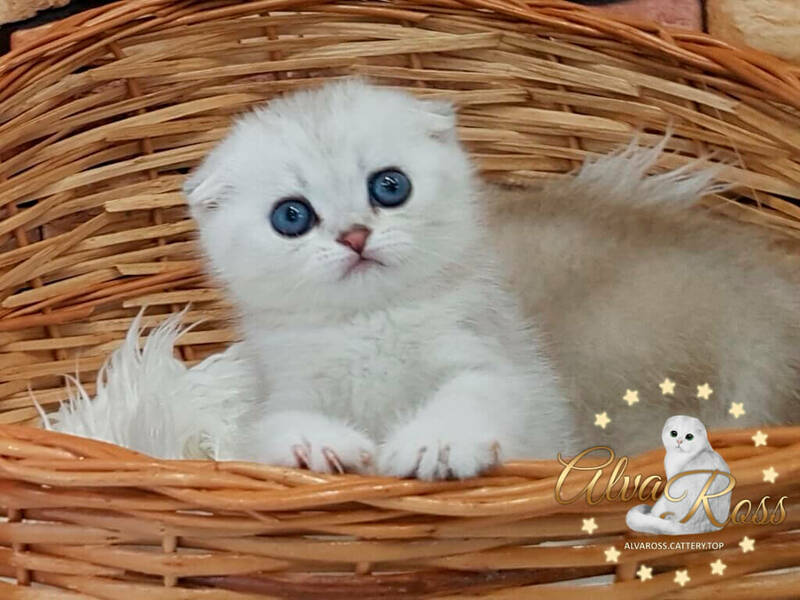 Our Scottish Fold kittens of chinchilla colors have emerald eye color. Our Scottish Fold kittens of chinchilla point colors have blue eyes. 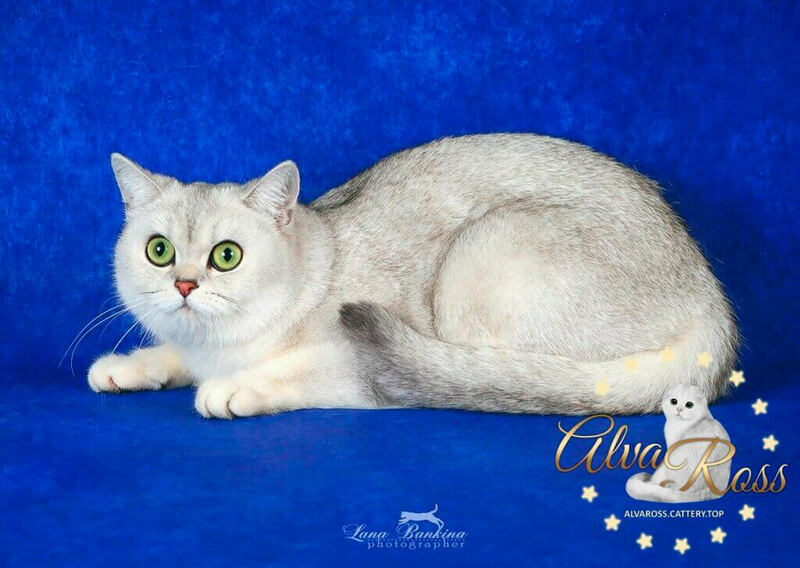 The chinchilla and chinchilla point colors are precious and rare. 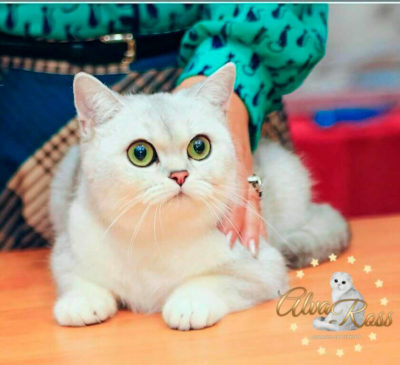 Work on obtaining these colors has a number of features (you can read about it on other pages of our cattery site). Breeding cats of our cattery take an active part in international cat shows, have awards, high results and titles. The form for sending letters is at the bottom of each page.